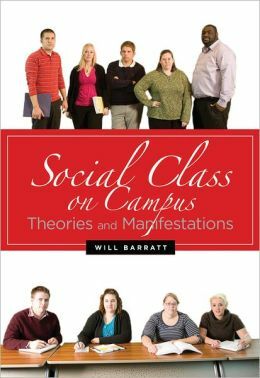 This morning I finished reading Social Class on Campus: Theories and Manifestations by Will Barrett. I purchased the book for several reasons. 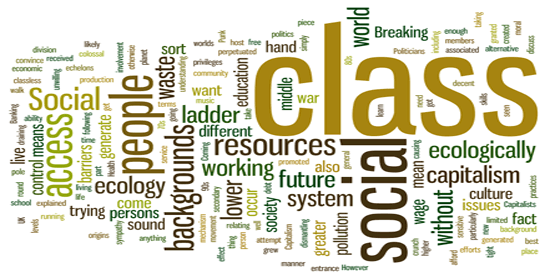 One, social class is an area I want to personally continue learning more about as I find myself noticing it more. I’m also considering incorporating a focus on it in the Internship 2 course that I teach, which currently contains a focus on chaos theory and disruptive innovation theory. I’ve been considering social class a disruptive “innovation” to higher education in my mind for the past few years, but am still wrapping my head around it so have not yet incorporated it into that course. Second, the book contains personal narratives in the last chapter, and I’m always looking for such narratives to add to the courses I teach. I am of the belief that learning occurs best when it connects to lived experiences, and providing the lived experiences of others can sometimes help to build those connections. Perhaps not at all surprising is the challenge in actually finding such personal accounts in print. One of the points that the books contains is that valuing narratives of lived experiences is not often something valued by those in a higher social class–hence, a potential reason as to why I am always on the hunt. A final reason I selected the book was due to the structure in which it was written. Each chapter contains suggestions for activities, as well as discussion questions at the end. I value both of these as an educator for myself and others. I gained a lot to “sit with” from the book, and would recommend it to others working within higher education. Social class isn’t necessarily one of those areas that gets a lot of attention directly, yet as I reflect on all of my experiences and conversations on college campuses (starting with the college search in high school) it is an ever present guiding force. This I’ve known, but continuing to learn more about it allows me to “see” it even more. As an undergraduate student, I recall being told by an administrator that it was refreshing to work with a student wearing flip flops and a ponytail, and similar, yet different, messages continue to be sent to me as a faculty member. At one point in the book, Barrett discusses how students who are the co-creators of knowledge are more likely to reach self-authorship. Self-authorship in a very reduced definition is a way of making meaning in which an individual determines their own values and beliefs while seeing others’ views as important, separate, and worth considering (Important to note: Separate does not mean disconnected). This internal value and belief system enables individuals to consider experiences from multiple perspectives and make responsible, ethical decisions for the common good. Arguably, this is the goal of higher education. One, simply because something is discussion based does not mean that students are developing toward self-authorship. Baxter Magolda provides several examples of various ways, including lecture style learning environments, that promote self-authorship, and the key, according to her, is the incorporation of all principles and assumptions within in the learning partnerships model (a model designed specifically to promote the development of self-authorship). My own experience in higher education demonstrates that discussion based learning environments to do not inherently promote self-authorship, as it was not until my graduate education that I was asked to “situate learning in my own experience”, as well as experience being “validated as a knower”–the two principles missing from Barrett’s discussion about what is necessary to develop toward self-authorship. I engaged in discussion based classes at my own undergraduate institution, yet, I was rewarded for being able to argue/defend/repeat claims made by others about the field of study–not consider those claims in terms of my own lived experiences, which would have validated that I brought knowledge with me to the classroom. “We all have a social class of origin, a current felt social class, and an attributed social class” (p. 7). 1. Provide on my syllabus information about purchasing any books electronically. Often publishers allow for purchasing of hard copy and electronic copy with the electronic copy being less expensive. I’ve also already done this one, but want to keep doing it…work with the library to make sure that the assigned books for class can be checked out of the library. 2. Discuss class attire on the first day of class. Learning does not require business clothes. I look forward to seeing how this conversation goes this fall. 3. Continue to have library orientation and technology orientation involved in the Intro. class I teach. Continue also assisting students in learning APA style through a continual learning process, rather than provide a workshop and expect that they “get it” after the workshop.